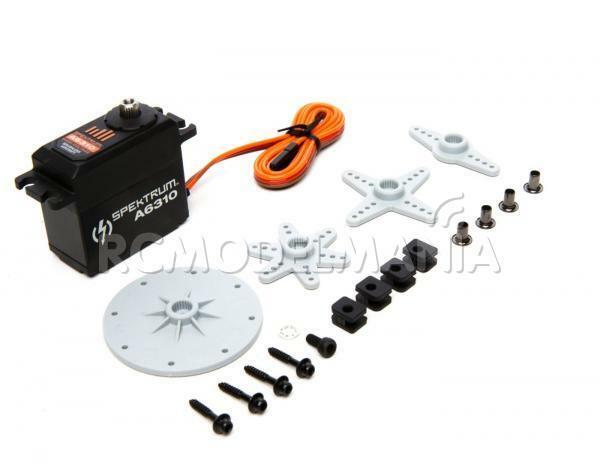 Spektrum™ high-voltage, brushless servos deliver dependable power and digital precision with amazing efficiency. Finely tuned electronics and software combine with powerful brushless motor technology to offer ultra-smooth performance more efficiently than servos with conventional motors. The aluminum center section allows any heat within the servo to dissipate rapidly while high-strength metal gears and high-impact polymer case components deliver a precision instrument that’s hassle-free. The Spektrum A6310 uses this solid foundation, plus additional inner support, to achieve an outstanding balance of power, durability and value, in addition to the peace-of-mind over-current and over-temperature protection offers. 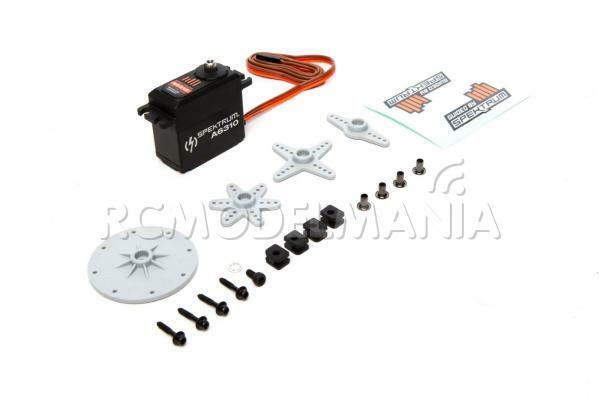 It’s a brilliant feature combination that makes this servo an outstanding choice for 60-120cc Aerobatic models and most sport flying Giant Scale models.